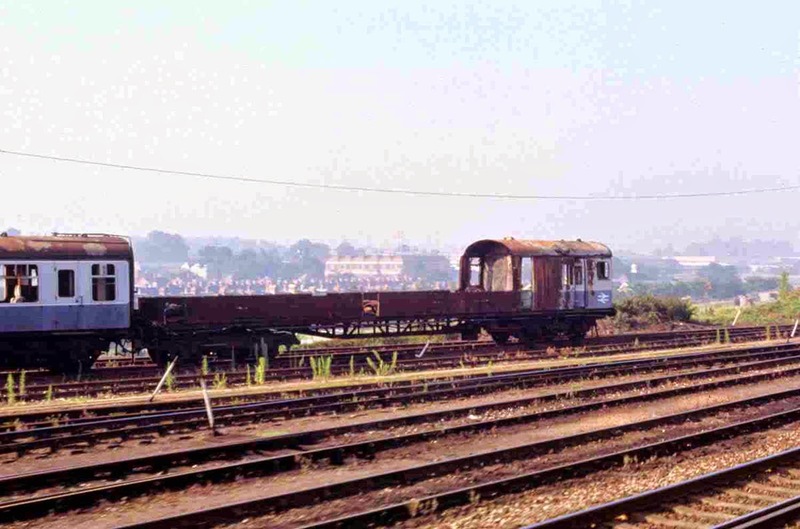 Further to the item published yesterday, Chris Finch has supplied this picture from April 1988 at Eastleigh of the burned out motor car 61871 from 4-CEP unit 7204, adjacent to a former South Tyneside 2-EPB. I believe that this was seen at Strawberry Hill, Basingstoke, Micheldever and then Eastleigh over a number of years, before eventual disposal. 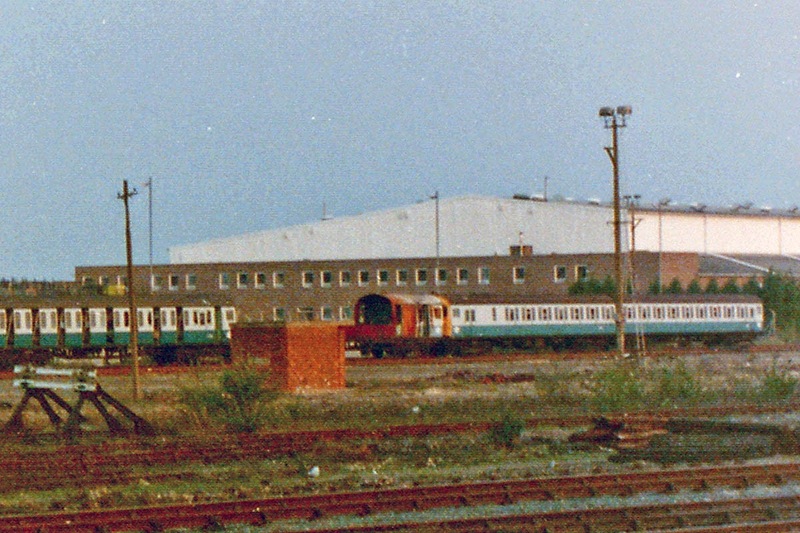 Basingstoke, 12th September 1985. This is how I recall it, looking like a pick-up truck. A further picture on Flickr. 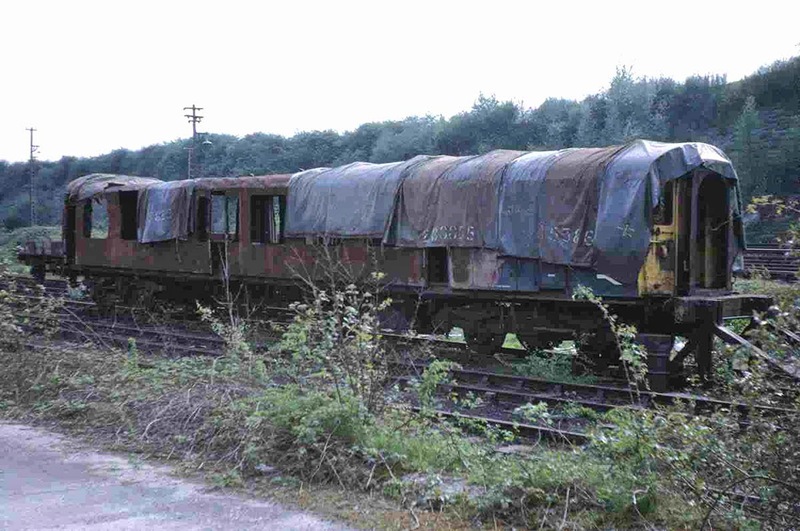 "I had seen the same one in 1990 ,back then I was a Southampton Yard shunter & there had been a number of class 9 unfitted scrap coaching stock movements mostly from Eastleigh East Yard and one from the dis-used East Grimstead china clay sidings near Dean. for sending to Vic Berry's." Does anyone have any further images?